Malta’s Blue Lagoon is one of the most astonishing places to experience clear, turquoise water in the Mediterranean. 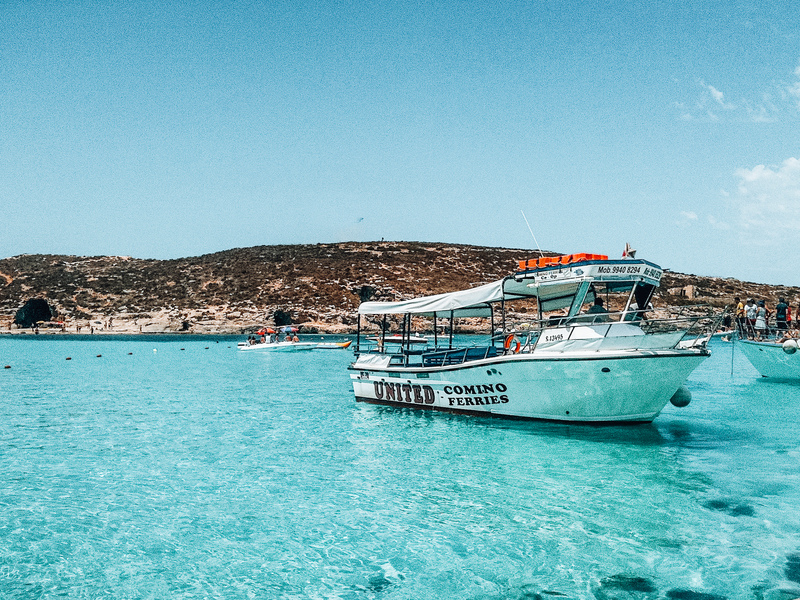 To no surprise, Comino Island has become a haven for divers, snorkelers, and even those just trying to soak up the sun. Easily reached by ferry, this car-free island makes for an incredible day trip. 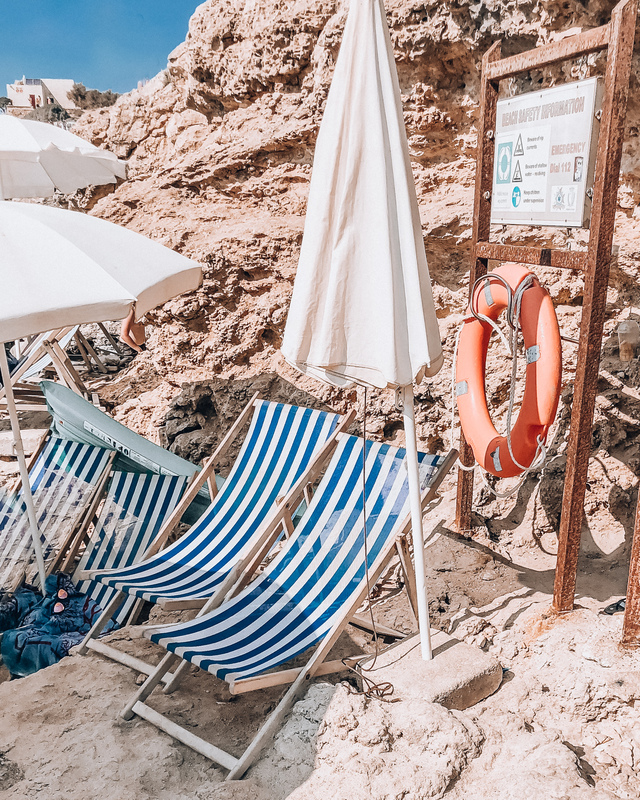 With amazing beaches, sea caves, and vantage points throughout, it is without a doubt that Blue Lagoon is the highlight of this northern Maltese island. Due to the Blue Lagoon’s growing popularity, it’s definitely a tourist spot. Most of the time, I am put off by these types of places, but the Blue Lagoon may be the exception. It is hard to write it off simply due to the crowds because the clarity and color of the water here is truly spectacular. The lagoon itself is very shallow, and almost like a giant swimming pool. As you board the boat en route to this oasis, be sure to grab an outside seat. The ride is incredibly picturesque, and I can guarantee you’ll want to capture some of the glistening water and rugged sea caves. As you dock at Blue Lagoon’s port, there will be crowds of people. Be sure to make your way uphill past the food vendors, where you’ll then see a staircase leading down to an inlet of beach chairs and umbrellas. I highly recommend renting a chair and umbrella during your time there to avoid having to sprawl out on the uneven terrain. From Cirkewwa Ferry Terminal, take a €5 ferry directly to the Blue Lagoon, approximate travel time is 15-minutes. Charter a private boat for the day to Blue Lagoon, starting around €200 for 3-4 hours. This also gives you the ability to explore other amazing parts of Comino Island, like Crystal Lagoon and neighboring sea caves. There are plenty of vendors selling beach accessories and refreshments. Though, save yourself from the overpriced towels and sunscreen, and come prepared with your own beach bag. I recommend packing a towel, flip flops, snorkel gear, sunscreen, a good hat, sunglasses, and snacks. To avoid some of the midday masses, try to arrive in the morning. Comino Island is full of turquoise water gems, so don’t leave your day trip to exclusively explore the Blue Lagoon. 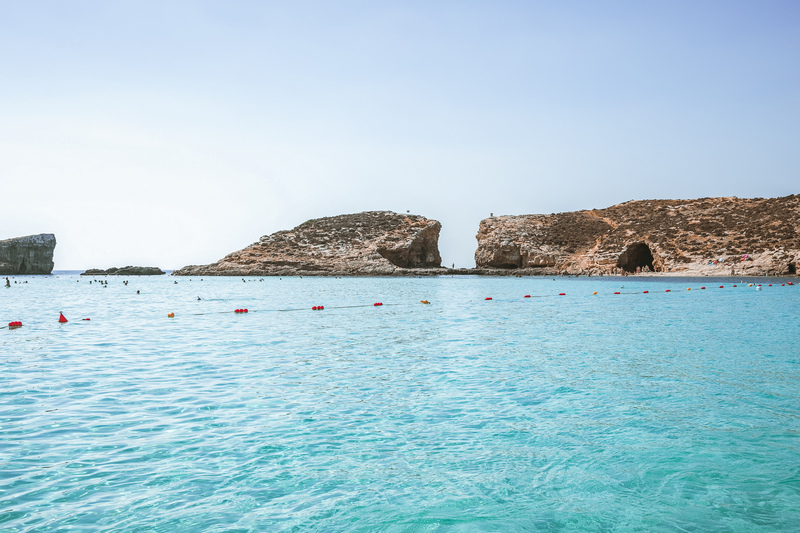 Venture off to either Santa Maria Bay or St. Nichola’s Bay, both about a 20-minute walk from the Blue Lagoon. For a comfortable experience, rent a chair and umbrella to relax in between swimming seasons.